If you have any questions about the SASSAFRASS information page below please contact us. The sailing yacht SASSAFRASS is a superyacht of good sized proportions. This 34 metre (112 ft) luxury yacht was made by Royal Huisman in 2000. SASSAFRASS was formerly named the project or yacht name 371 Pamina. Superyacht SASSAFRASS is a well designed yacht that is able to sleep as many as 8 people on board and has around 5 professional crew. The firm of naval architecture whom authored her drawings in respect of this ship was Ted Hood and Ted Fontaine. Pieter Beeldsnijder Design was also responsible for her interior design. The yacht's wider design collaboration came from Ted Hood and Ted Fontaine. The professional naval architecture drawings are a creation of Ted Hood. Sailing Yacht SASSAFRASS received her elegant interior designing from the interior design firm of Pieter Beeldsnijder Design. 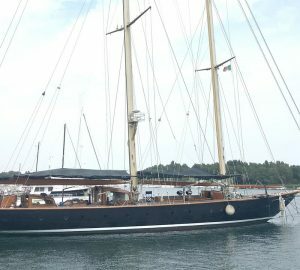 In 2000 she was formally launched to triumph in Vollenhove and following sea trials and finishing touches was afterwards delivered to the new owner. Royal Huisman completed their new build sailing yacht in the Netherlands. The main hull was crafted from aluminium. The sailing yacht superstructure component is fabricated for the most part from aluminium. With a beam of 8.05 metres or 26.4 feet SASSAFRASS has fairly large interior. She has a reasonably deep draught of 3.87m (12.7ft). She had refit maintenance and alteration work undertaken by 2007. She has a sole proven MTU main engine(s) and can manage a maximum continuous speed of around 11 knots. The engine of the ship generates 415 horse power (or 305 kilowatts). Her total HP is 415 HP and her total Kilowatts are 305. SASSAFRASS is propelled by a single screw propeller. As for thrusters she was built with Hundested. The boat’s languid cruising speed is 10 knots which produces a range of 3500. Offering cabins for a limit of 8 visiting passengers overnighting, the SASSAFRASS accommodates them in style. Normally the vessel utilises around 5 proficient crew to maintain and sail. 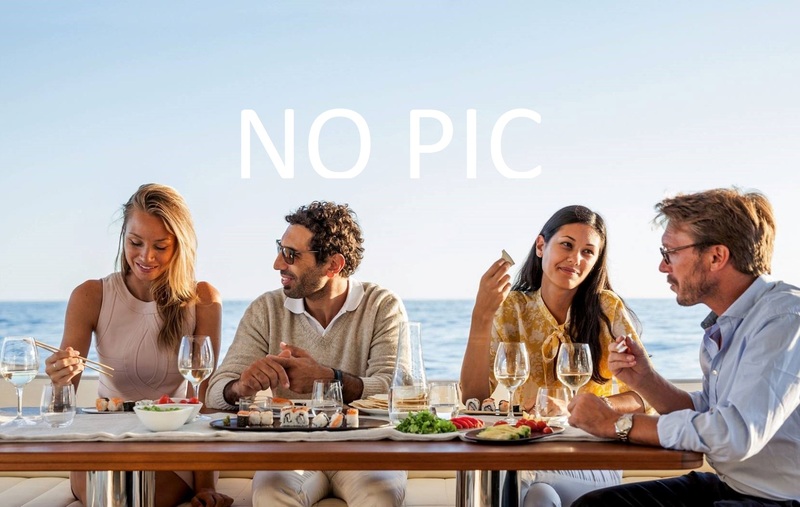 The luxury yacht SASSAFRASS displayed on this page is merely informational and she is not necessarily available for yacht charter or for sale, nor is she represented or marketed in anyway by CharterWorld. This web page and the superyacht information contained herein is not contractual. All yacht specifications and informations are displayed in good faith but CharterWorld does not warrant or assume any legal liability or responsibility for the current accuracy, completeness, validity, or usefulness of any superyacht information and/or images displayed. All boat information is subject to change without prior notice and may not be current.